It really is the dream vibrant city break and chilled-out holiday island combination. Then there is the beautiful, serene island of Koh Samui, deep in the Gulf of Thailand – worlds apart, but just a three-hour flight between the two. We started our twin-centre trip in Hong Kong arriving on the overnight flight from Heathrow. The East-meets-West city, where 7.5 million people manage to own 24 million mobile phones, is an incredible place. It’s the city where sparkling new glass skyscrapers sit cheek by jowl with centuries-old temples in traditional neighbourhoods. Here, locals still hang their washing out to dry from the windows and trams from a bygone age trundle along with some of the world’s most expensive cars. Our stay started with a fascinating walking tour of the central Wan Chai area. Exploring the local market was amazing. Some shops sold nothing but wedding invites while the Shing Fat Coconut Co shop had absolutely nothing on its shelves but, of course, products made from coconuts. Fishmongers were selling an extraordinary array of seafood. Many were still alive in tubs of water then killed in front of customers as they carefully selected their dinner. We had lunch at the Tai Wing Wah Village restaurant. Dim sum of great quality was served and one of us even tucked into that local delicacy, chicken feet. There are two “must-do” things on the itineraries of Hong Kong tourists. The Star Ferry – which costs just 22p to board – takes you from Hong Kong over to Kowloon on the mainland, and it’s surely one of the world’s best-value tourist trips. We watched as traditional junks sailed by alongside massive cruise liners as the sun set over the towering buildings across the water. The Symphony of Lights nightly display is fantastic – and free. It’s at 8pm and the towers around the harbour light up in time to music, lasers and fireworks. Also unmissable is a trip up to the 1, 800ft Peak on the tram, celebrating its 127th anniversary this year. The slow journey gives magnificent views although it’s not one for those with no head for heights. A return ticket is about £3.60. I was also lucky enough to visit the Happy Valley Racecourse located in the middle of the city. It cost just 75p to get in, ice-cold pints of Tsingtao lager were just over £3, and you could walk down to within touching distance of the finish line without special hospitality passes. The nightlife in Hong Kong is famous the world over and we were out until the early hours enjoying clubs and bars of the legendary Lan Kwai Fong area. Unfortunately, our 48 hours in Hong Kong were soon over and it was off to the airport for a flight to Koh Samui. It really is a travellers’ dream. Idyllic golden beaches with restaurants of superb quality – and sea views. While some of the island has become a little overdeveloped, there are still huge swathes of natural beauty. On our first day we ate at Stacked, which is on the busy main strip. A lobster and crab burger came in at under £7. Prepared by American chef Matt, it was delicious. After lunch, it was off to the Magic Alambic Rum distillery. Tucked away in a quiet rural end of the island, the distillery is run by a French couple. but be warned, the rum is potent. Koh Samui has become much more commercialised over recent years with a range of go-kart tracks, theme parks and so forth, plus the usual array of American food franchises. But all across the island you are never far away from a spot of sheer peace, tranquillity and beauty. We stayed in OZO hotels in both destinations. It’s a new mid-market chain from Thailand-based group Onyx and the first two of its properties are the ones we visited. We found the two hotels never oversold themselves with no rip-off minibars – each room had a small fridge where you can store wine and beer purchased at reasonable prices from nearby supermarkets. Both hotels were in great locations too – the Hong Kong hotel is on Hennessy Road in the prime Wan Chai district, while the Koh Samui one is at Chaweng Beach, one of the best on the island. The firms says OZO is all about “practical yet stylish accommodation offering value and comfort’’ that is “combined with good connectivity and a great sleep’’. We didn’t disagree. To that end, there’s free mineral water in each room and free wi-fi both in rooms and reception areas, an essential in today’s online world. Two new hotels have also been added to the brand in Sri Lanka and another in Thailand. Combining two such diverse places as Hong Kong and Koh Samui is ­something I would never have ­considered before. 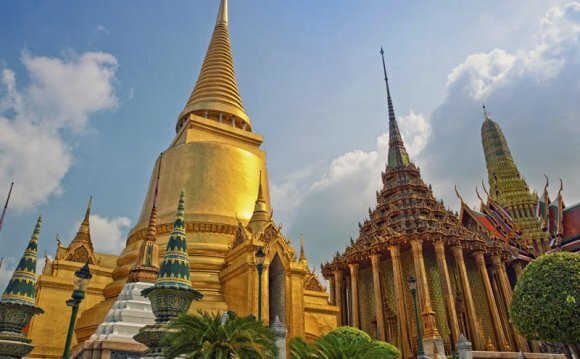 But with the easy flight connections and good mid-range accommodation, it really is a great opportunity to get a lot from a Far East trip. The tsunami resulting from the 2004 Indian Ocean earthquake killed at least 38 Hong Kong residents in the affected region. As of December 2005, 2 persons (one infant and one child) are still unlocated.